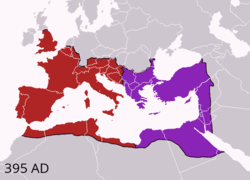 Latina Imperium Romanum fuit res publica antiqua cuius caput erat urbs maxima Roma et quae tempore maximae suae potestatis a Britannia usque ad Mesopotamiam extensa est. 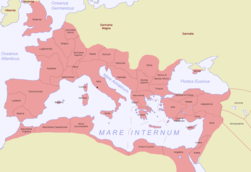 Ab Augusto Caesare imperium Romanum sic institutum est, ut res publica uni principi soli gubernanda mandaretur. 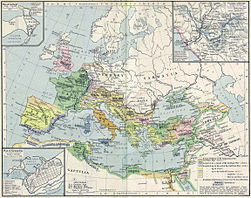 Imperium Romanum tamquam totius orbis terrarum vel saltem eius orbis terrarum partis, quam totius mundi instar esse antiqui existimaverunt, dominatum obtinuit usque ad aetatem migrationum populorum et gentium, quo tempore in duas partes divisum, ubi ad occidentem solem vergebat, interiit, ubi ad orientem solem spectabat, per medium quod dicitur aevum remansit. 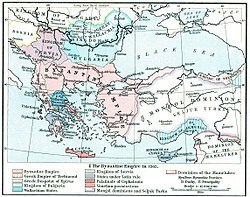 Ελληνικά Ως Ρωμαϊκή Αυτοκρατορία νοείται το κράτος των αρχαίων Ρωμαίων (imperium), μετεξέλιξη της Ρωμαϊκής Δημοκρατίας όταν και οι περισσότερες εξουσίες συγκεντρώθηκαν στα χέρια ενός ανθρώπου, του Καίσαρα ή αυτοκράτορα (imperator).Το κράτος που είχαν δημιουργήσει οι αρχαίοι Ρωμαίοι πέρασαν αρκετοί αιώνες μέχρι να αποκτήσει το πολίτευμα της αυτοκρατορίας, με το οποίο το θυμούνται οι σημερινοί λαοί, αλλά έχει επικρατήσει να αναφερόμαστε με τον όρο ‘’Ρωμαϊκή Αυτοκρατορία’’ για όλη την περίοδο της αρχαίας ρωμαϊκής ιστορίας. 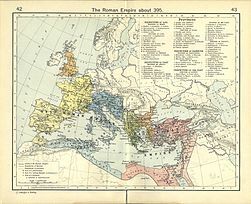 The Roman Empire (Latin: Imperium Romanum}, probably the best-known Latin expression where the word "imperium" denotes a territory, indicates the part of the world under Roman rule. 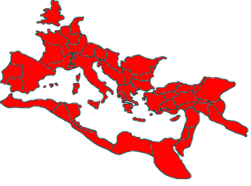 From the time of Augustus to the Fall of the Western Empire, Rome dominated Western Eurasia, comprising the majority of its population. 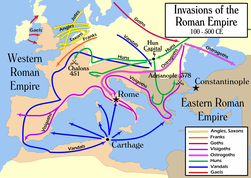 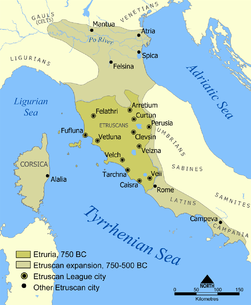 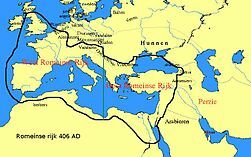 Roman expansion began long before the state was changed into an Empire and reached its zenith under emperor Trajan with the conquest of Mesopotamia and Armenia in AD 116. 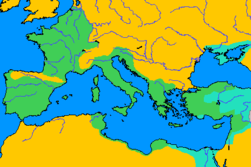 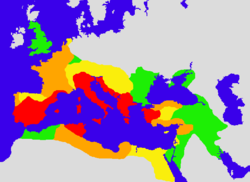 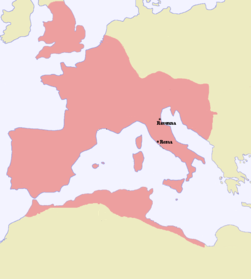 During this territorial peak the Roman Empire controlled approximately 5 900 000 km² (2,300,000 sq.mi.) 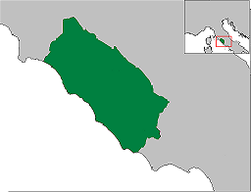 of land surface. 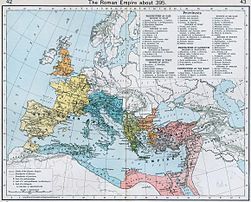 Rome's influence upon the culture, law, technology, arts, language, religion, government, military, and architecture of Western civilization continues to this day. 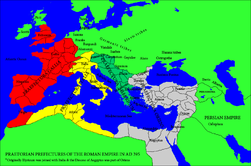 More images Roman Empire - Roman Empire (Category). 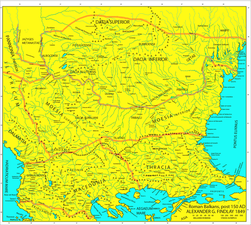 This section holds a short summary of the history, illustrated with maps. 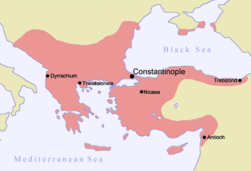 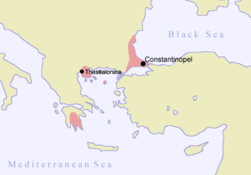 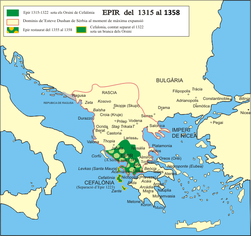 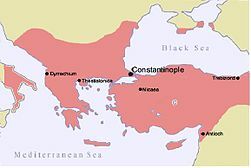 Map of the Eastern Roman Empire under Manuel Komnenos, c.1170. 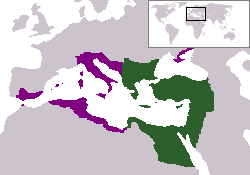 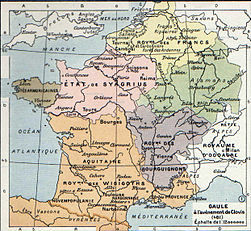 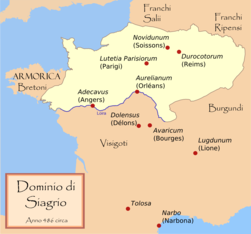 Map to show the partition of the empire following the Fourth Crusade, c.1204. 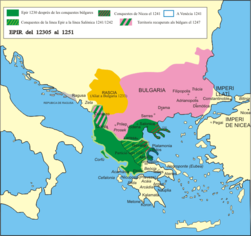 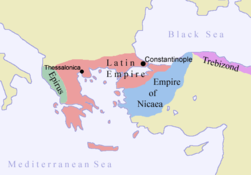 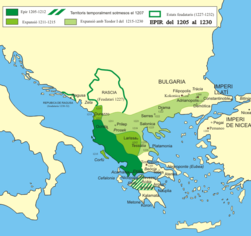 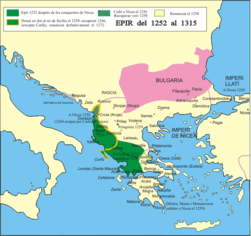 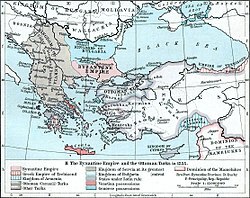 The Eastern Roman Empire in 1265 (William R. Shepherd, Historical Atlas, 1911). 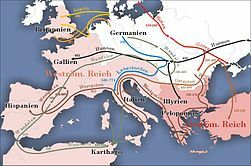 ↑ The text of the summary of the history is mainly based on the text in Wikipedia.